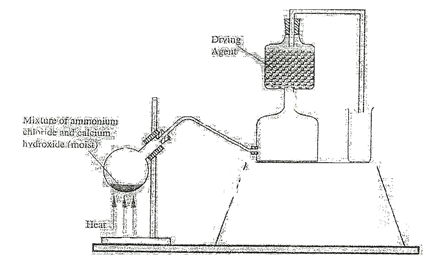 b)	The diagram below shows an electrochemical cell. Study it and answer the questions that follows. 3. Use the information in the table below to answer the questions that follow. 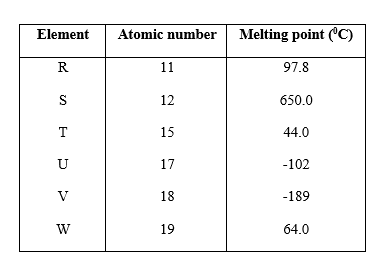 The letters do not represent tha actual symbols of the elements. d)	When 1.15g of R were reacted with water, 600cm3 of gass was produced. b. The standard enthalpy change of formation of methanol is -239 kJmol-1. ii)	Methanol is manufactured by reacting carbon(II)oxide with hydrogen at 3000C and a pressure of 250 atmospheres. 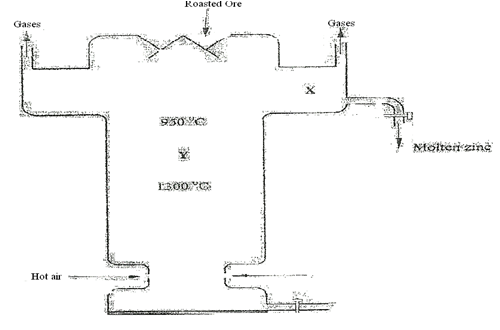 5.	a)	A student set u the apparatus as shown in the diagram below to prepare and collect dry ammonia gas. d)	Ammonia gas is used to manufacture nitric (V) acid, as shown below. 6. The melting and boiling points of zinc are 4190C and 9070C respectively. One of the ores of zinc blende. To extract zinc, the ore is first roasted in air before feeding it into a furnace. 7. 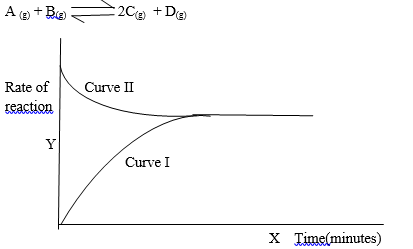 The figure below shows how the rate of the following reaction varies with the time. b)	State and explain the effect of an increase in pressure on the rates of the following reactions.